Just outside the Bobar and the stage were these two doors. It was clear that they were both restrooms, however, I suppose the low volume of customers forced the management to make some minor changes, such as declaring this bathroom a "storage room" according to the paper sign duct taped to the door, and making the adjacent men's room a unisex bathroom. 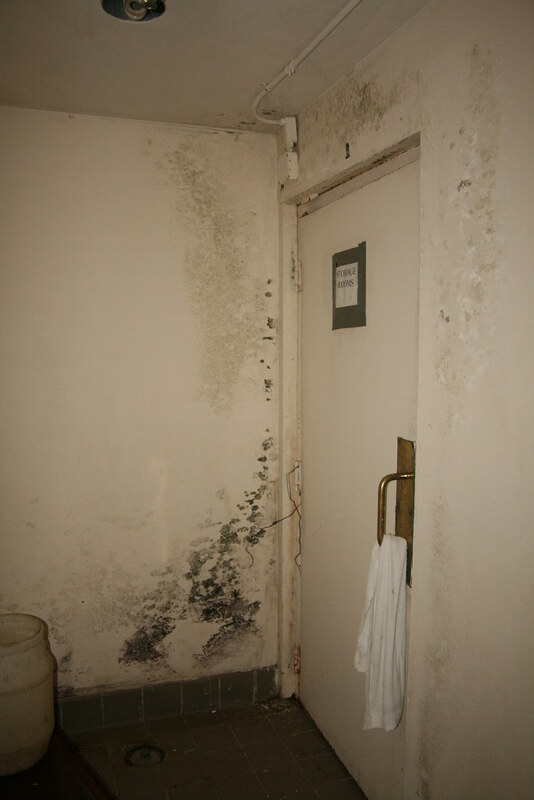 Also notice the mold on the wall, which corresponds to the mold elsewhere in rooms at this level, below the ground water line.